To celebrate the 150th birth anniversary of Swami Vivekananda, the Ramakrishna Mission has launched a special commemorative website that aims to provide a glimpse into the various facets of the life and teachings of this Hindu guru, world teacher, thinker, leader, prophet, pathfinder and benefactor of humanity. Swamiji’s persona and his sayings come alive in these wallpapers released by the Ramakrishna Mission. The links lead you to the downloadable images that you can set as wallpaper on your desktop or laptop. This bright and energizing wallpaper portrays Swamiji sans his saffron turban beside his quotation: "Strength, strength it is that we want so much in this life, for what we call sin and sorrow have all one cause, and that is our weakness. With weakness comes ignorance, and with ignorance comes misery." In this bright brick and rust-colored wallpaper, a garlanded Swamiji looks on as one of his most famous sayings strikes out to inspire you: " This life is short, the vanities of the world are transient, but they alone live who live for others, the rest are more dead than alive." (From Swami Vivekananda's letter to His Highness the Maharaja of Mysore - 23 June 1894). A calm and serene Oxford green wallpaper with the famous Belur Math in the background, this wallpaper features a the handsome Swamiji in his signature saffron robe and turban. This is a great wallpaper with a pithy quote: "This is the gist of all worship - to be pure and to do good to others." Featuring another great turban-less photograph of Swamiji in his long Burgandy robe, possibly clicked during one of his missions to the United States, this wall paper depicts his ideal in a nutshell: "My ideal, indeed can be put into a few words, and that is: to preach unto mankind their divinity, and how to make it manifest in every movement of life." With Swamiji is his classic seated posture, this wallpaper talks about teaching and rousing of the soul: "Teach yourself, teach everyone his real nature, call upon the sleeping soul and see how it awakes. Power will come, glory will come, goodness will come, purity will come, and everything that is excellent will come when this sleeping soul is roused to self-conscious activity." This cool blue wallpaper features two photos of Swamiji - one composed and the other confident. Again the message is simple: "This is the gist of all worship - to be pure and to do good to others." 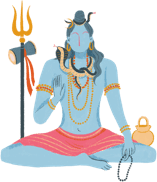 As he explained in his address at the Rameshwaram Temple: "He who sees Shiva in the poor, in the weak, and in the diseased, really worships Shiva; and if he sees Shiva only in the image, his worship is but preliminary." This wallpaper has a wooden wall backdrop featuring our man in a happy pose looking knowledgeable indeed. As he said in his book 'Karma-Yoga': "Next to spiritual comes intellectual help; the gift of knowledge is a far higher gift... because the real life of man consists of knowledge; ignorance is death, knowledge is life." Swamiji adorned in his classic saffron robe sitting with eyes lowered in a meditative pose with 'Om' in the background is a perfect setting for the profound message he bore: "Religion is the manifestation of the divinity already in man." This is similar to one of his popular aphorisms: "Education is the manifestation of the perfection already in man."